Today’s post comes from my second trip to Hallo Bay, Alaska, in 2005. This was my first trip to Hallo Bay in the spring and I saw much different bear activity than I had seen on my first trip, which was in the fall of 2004. 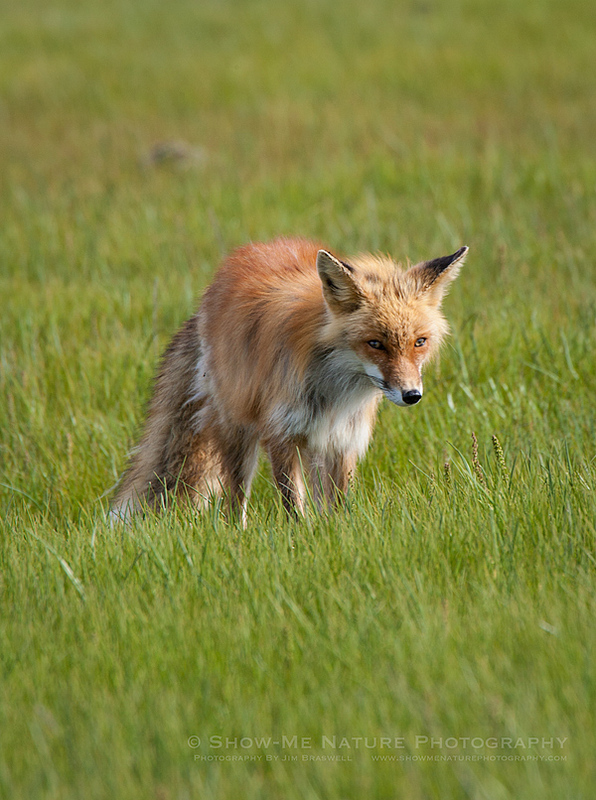 In addition to the bears wooing and mating, grazing on the sedge meadows and digging up razor clams at low tide, the Red Fox was very active. 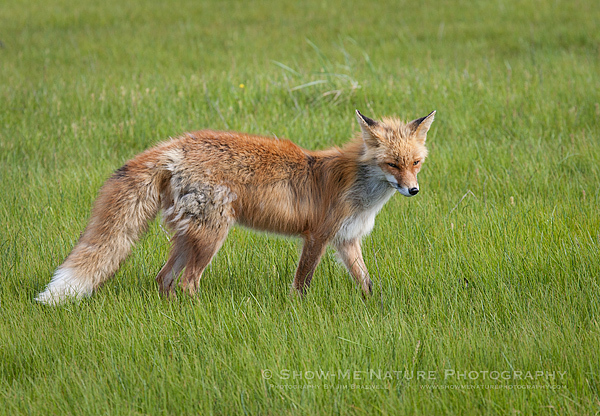 These images were of a red fox that was hunting voles in the meadow while we were watching bears in the meadow. Eventually, after catching and consuming a couple of voles, he continued to head in our direction. 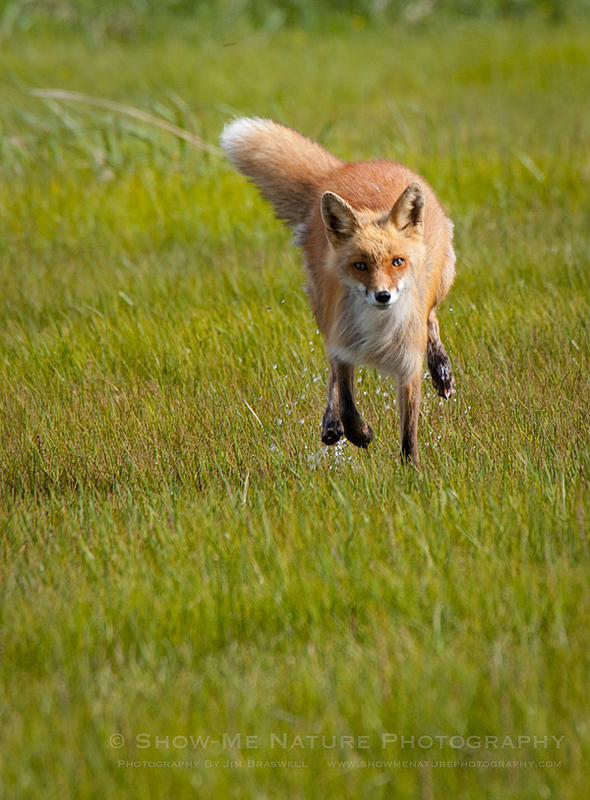 I was amazed on this first spring trip, to see how close the red foxes would come to us. If we sat still, they would often come right up and sniff our boots. They were so used to photographers coming to this meadow for bear photography that they knew we were not a threat. And what a joy for us! On this Christmas Eve, wishing all of my blog readers a very Merry Christmas! Shutter 1/125 sec. to 1/250 sec. 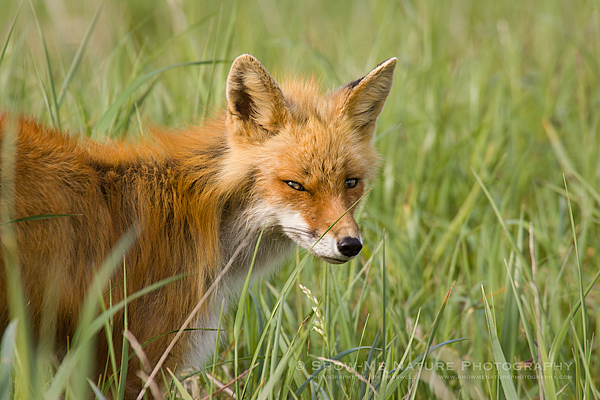 Tags: 2014, Alaska, behavior, Blog, cute, Katmai NP, mammals, meadow, National Park, nature, nature photography, photography, red fox, spring, travel.